Kombucha is a word I used to be scared of. Health benefits aside, the thought of fermenting sweetened tea with a symbiotic colony of bacteria and yeast gave me the heebie jeebies. Years passed and I never gave it a second thought… until I met the amazing team at RISE Kombucha. They sent me a couple of bottles and; realizing that I couldn’t avoid it forever and ever, I decided to take a little sip to see what all the hoopla was about. It was bubbly, lightly sweetened and packed with flavor. I’d never imagined, in a bazillion years, that kombucha would taste like THIS. I was converted. Right there on the spot. 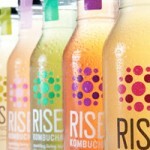 I’m all obsessed with RISE Kombucha… and I want you to be, too. It’s good tasting, good for you, and the people behind the business are just so dang passionate about what they do. Rebalance your digestive system. Kombucha has a living colony of bacteria and yeast making it one heck of a probiotic beverage. Detoxify your liver. Naturally detoxifies your system with all of it’s powerful enzymes and bacterial acids. Care for your joints. Contains glucosamines which help in the prevention and treatment of arthritis. 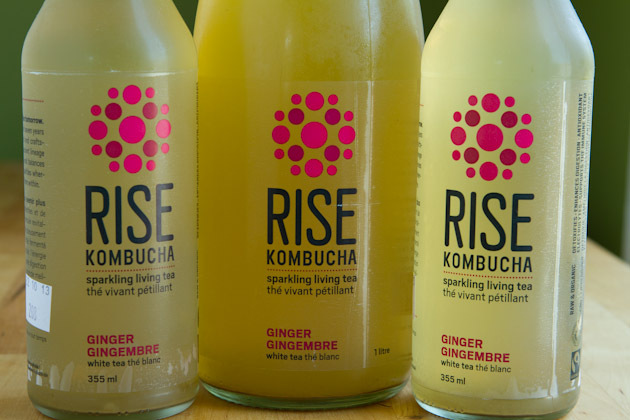 You can find RISE Kombucha at many health food stores across Canada (and!) they’re planning to sweep the USA early next year. I thought to myself (after I’d polished off a box of 12 bottles of RISE Kombucha in a 2 week period) that it’d be fun to see what would happen if I drank kombucha every day, for 30 days. Maybe it would help with my complexion, regulate my digestion a bit more, and make me feel… better? Starting today, I’m embarking on a 30-day kombucha challenge. 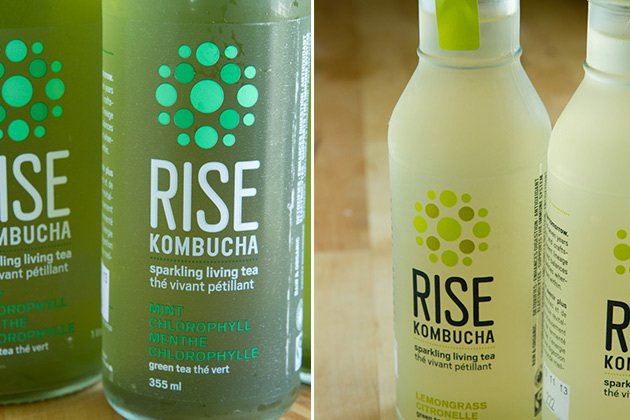 I’ll drink 1 RISE Kombucha per day (likely with my morning snack). You can track my daily experiences by following me on Instagram and Twitter. Then, at the end of the 30 days, we’ll be hosting a mega awesome giveaway AND I’ll share my overall 30-day kombucha experience with you. If you’ll excuse me… I have some kombucha to drink. Are you scared of kombucha? Are you going to join me for the challenge? This post was sponsored by RISE Kombucha. All opinions expressed herein are those of Healthful Pursuit Inc. and are not indicative of the positions or opinions of RISE Kombucha. Thank you for supporting the brands that I believe in and choose to feature here.